The jacket is constructed with a plain weave, stretch, nylon and spandex cloth with water repellency (e.g. Milliken 98/2 nylon/spandex). 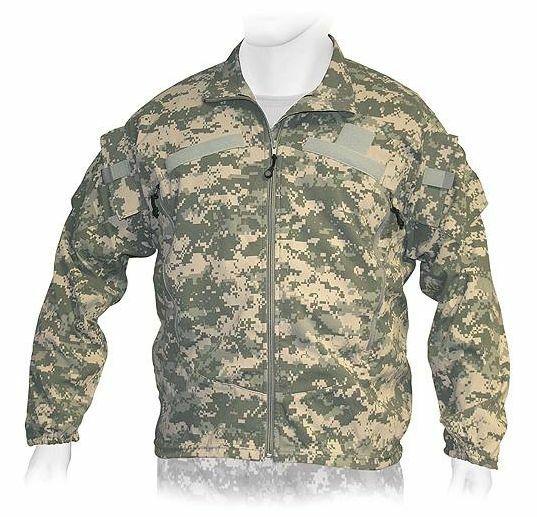 The jacket features angled chest pockets with mesh lining to aid in ventilation while wearing body armor. It is also constructed with Velcro closure sleeve pockets as well as elasticized cuffs and loop fasteners to attach rank badges and name plates.